Want tosave 6,45 kn on this order and become Loyalty program member? Refreshing and natural, with great solubility, Green Balance is an excellent self-contained "green" diet supplement, it can be used as a functional beverage ingredient, it enhances nutrition and flavor with various fractions. 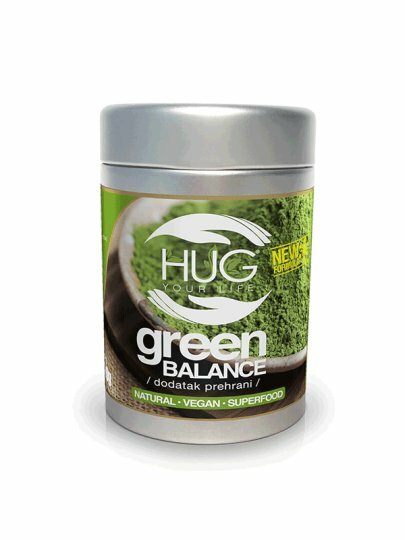 Green Balance is a 100% super-nutrition supplement with no additives or fillers. powder of a young leaf of wheat, powder of barley barley, powder of alfalfa leaf, powder of green algae, powdery wafers, powdery melon fruit powder, goat's root powder, palm kale powder, maltodextrin, powder spirulina powder, lemon pulp powder, ounce list, zinc acetate dihydrate. Drink 1 small teaspoon (= 1g) 3 times a day (= 3g) with 2 dl water, best after a meal.